Ey up, it's not only footie, pints and pies that are better up north--the humor also takes some beating. Whether it's comics like Peter Kay, Les Dawson and Victoria Wood; telly shows like Corrie and Open All Hours; or writers like Alan Bennett and Keith Waterhouse; the funniest and best-loved invariably hail from the land of perpetual drizzle (another thing they do better). This grand collection of northern wit is packed with these favorites and more. 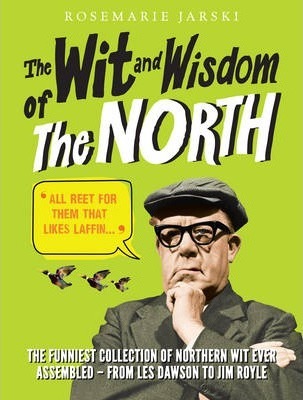 Likely lads and lippy lasses cast a wry eye on subjects close to the heart of every northerner, including--brass, grub, graft, courting, cricket, tittle-tattle and t'weather--adding up to a feast of northern hilarity.